Join Us - and be part of everything West Vancouver has to offer! If you require assistance in booking a hotel in West Vancouver, please phone 604-926-9293 or toll free 1-877-926-9293 and we will be happy to assist you. Dermal Laser Centres has been providing physician directed skin care since 1997 featuring Medical Director Dr. Daniel Fung and registered nurse Linda Lam. We are a leader in Botox and filler treatments, providing Juvederm products, Voluma, Volbella, and Ultra Plus XC, plus laser hair removal, photo rejuvenation, acne treatments and microdermabrasion. We also carry Latisse and ZO medical grade products. Safety and client satisfaction is always our number one priority. The Botox and dermal filler treatments we provide are performed by our doctor and registered nurse who have extensive experience in the field. Our laser hair removal, skin rejuvenation, skin tightening and other related skin treatments are done by our certified laser technicians. Since our treatments are physician directed, you will benefit from our medical teams advanced education, continuing research and years of experience. Each laser technician has completed over 200 hours of specialized training, both theoretical and hands on, through our Dermal Laser Training Institute. 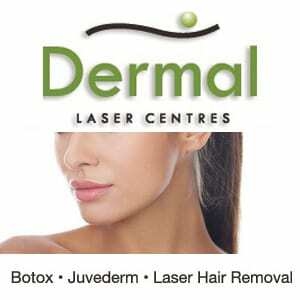 By using only leading edge techniques and state of the art medical grade equipment, Dermal Laser ensures consistently exceptional results. We pride ourselves in the personal customer care we aspire to. By choosing the Dermal Laser experience, you are assured that the focus of each of our team members will be to customize a treatment program that fulfills your unique needs and provides the results that you are looking for.